Natural materials are experiencing a renaissance in modern bathrooms as homeowners look to create a warm and neutral tone, mixing textures to create contrast and interest. Wood is becoming especially popular as this material breathes quite well and naturally absorbs moisture. To create a space that is uniquely yours, made-to-measure vanities and other furniture pieces made from wood help to create a sleek design when combined with ceramic pieces like a white wash basin and freestanding bathtub. Many homeowners are looking to create a unique aesthetic in their bathrooms and so are moving away from an all-white and bland decor to a more curated interior. Antiques are being embraced through light pendants or vanities, to stamp an owner’s unique style and personal taste. 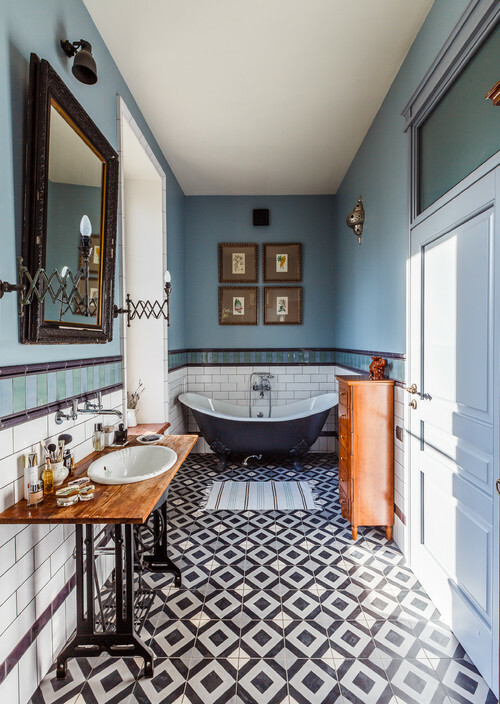 Statement tiles and fixtures are also other ways to bring character into your bathroom and keep it consistent with the interior design of the remainder of your home. House plants are perfect in a bathroom where there is a source of natural light and the high humidity from showers and baths helps natural greenery to flourish. 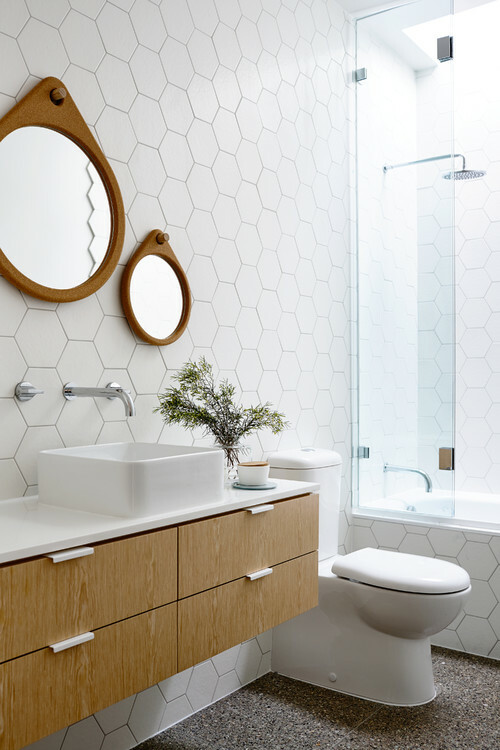 Instead of plants being an afterthought, consider matching to the interior design of the bathroom space. If you are going for a tropical theme, then orchids or St. George’s sword (commonly known as Mother-in-Law’s Tongue) are ideal as they thrive in damp and warm conditions and pack their own tropical punch. 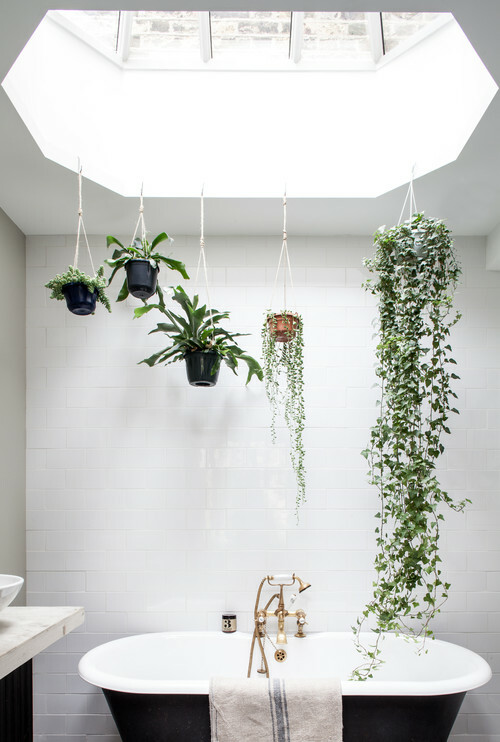 If your bathroom is short on space, and to keep surfaces clear you can always choose a hanging plant by installing some hooks in your ceiling, giving some immediate calm to the space. It should come as no surprise that 2019 will feature many bathrooms that are enhanced by new smart technology. 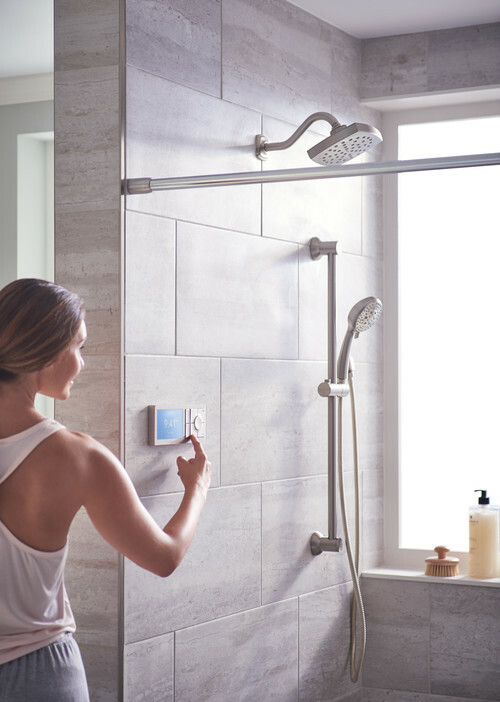 The bathroom is subtly incorporating technology ranging simple improvements such as LED lighting that is layered and create ambience throughout the room or showers that are controlled by your smartphone, your voice or a control panel. The functions of mirrors have been enhanced to be more than just providing a reflection but are now offering a magnifying function and touch switch. To reduce the need for cleaning, some new toilet models can be remote controlled, self-cleaned and are sensor activated. Asymmetrical accessories, features and layouts gives a bathroom an edge whether it is a mirror, a wash basin or shower. If you are lacking the space for both a shower enclosure and a bathtub in your bathroom, then opting for an asymmetric bathtub will allow you to maximise space. Asymmetric bathtubs come in all shapes and sizes, such as a corner bathtub or with a shape that follows the human body’s contour, optimising comfort and luxury. 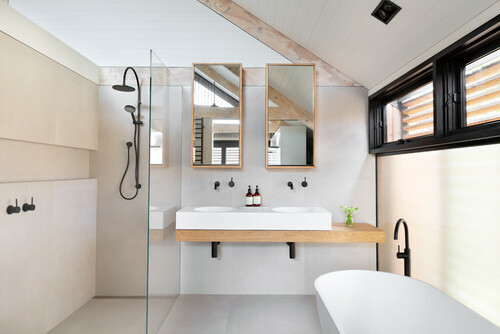 At Nu-Look Renovations we are excited at the 2019 bathroom design trends. We would love to meet up with you and see how you can incorporate some of these trends in your next bathroom renovation.